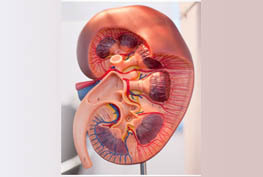 Just 50 years ago, if you had chronic kidney disease and your kidneys failed, you would have died. There was no treatment that could save your life. Now there are two: kidney transplant and dialysis. 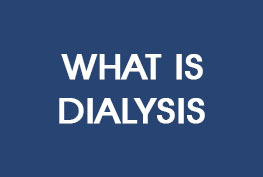 Dialysis uses a principle called diffusion to clean wastes out of the blood. Here's how it works. Dialysate is made of clean water and small amounts of the wastes that need to be removed. Your blood has much more of these wastes than the dialysate does. This difference is called a gradient. The gradient causes the wastes to move through the membrane. The movement goes on until the levels on both sides of the membrane are the same. You use diffusion each time you make coffee or tea. The coffee or tea diffuses into the hot water. 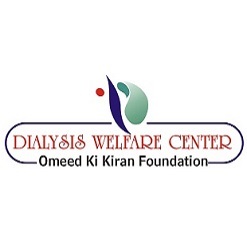 There Are Two Main Ways To Do Dialysis: Peritoneal Dialysis And Hemodialysis. This Table Shows You How They Both Work. 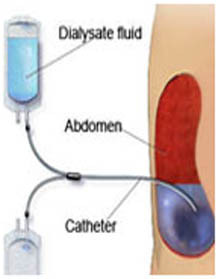 HD dialysate only touches your blood through the pores in the dialyzer. So, it is made with clean, or maybe "ultrapure" (very clean) water, but is not sterile. Besides treated water, HD dialysate has minerals like sodium, magnesium, potassium, and calcium. There may be some glucose. And bicarbonate is added as a buffer. You need a vascular access (way to reach your blood). The best ways (fistula or graft) use your own blood vessels. 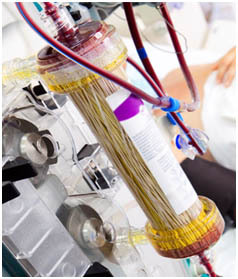 Needles are placed in the access and connected to tubes to bring blood to the dialyzer. Or, you'll get a catheter—a tube in your neck or chest that goes into your heart. HD catheters have a high rate of infection that can be fatal. You can do PD in any place you can make clean. You can use a room at home, at work, in a hotel, or a car, boat, or camper. You'll learn to wipe down all surfaces, close air vents, wash hands, and wear a face mask and gloves. You don't want germs in your belly. You can do HD in your own home or in a dialysis clinic. If you use a small, more portable machine, you can take it on trips in a car, on a plane, or in a boat or camper. If you use a large machine, you will have to set up treatments at a clinic to travel. PD should not hurt. It can take a few days to get used to a belly full of fluid. Some people have pain when they put fluid in, and need more buffer. This tends to get better in time. With a cycler, some people have "drain pain." Leaving a bit of fluid in the belly (called Tidal PD) or moving the catheter can help a lot.